It's been a while since I last heard that opening guitar riff. This is one of those 80s singles that I never asked for as a Christmas or Birthday present, but now wish I had done! For quite some time, I was convinced that the lyrics in the chorus were "raking the lawn, raking the lawn" - if only! 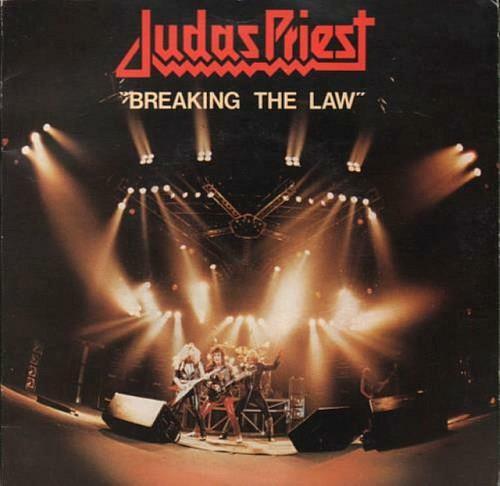 Breaking The Law entered the UK singles chart at #23 on June 1st 1980, while Theme From M*A*S*H was at No.1. The single reached #12 in the UK singles chart on June 15th for one week, while Don Mclean was at No.1 with "Crying". The lyrics are about someone who has hit hard times and find themselves unable to get a job, and turning to crime to survive financially. 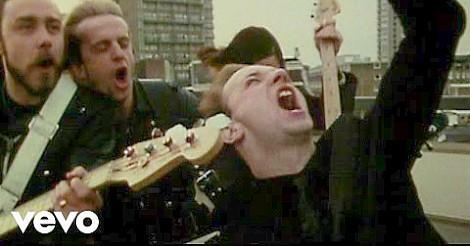 It was the second single to be released from Judas Priest's sixth studio album British Steel. The album was initially sold at just £3.99 which helped it to become one of the band's best-selling albums. Other singles from the album were Living After Midnight (#12) and United (#26) which was the third and final single released from the album. British Steel also features the track Metal Gods which became the band's moniker. The heavy metal band formed in Birmingham, England in 1969, and between 1974 and 2008 released sixteen albums. They are still performing and band members are; Rob Halford (vocals from 1974 to present), Glenn Tipton (guitar from 1974 to present), Richie Faulkner (he replaced K. K. Downing on April 20th 2011 as a guitarist following his Downing's retirement), Ian Hill (a founding member and bass player) and Scott Travis (an American drummer who's been with the band since 1989).